I make it a point to include vegetables into every meal, breakfast being the exception. It's always a hot chocolate malt drink in the morning, occasionally a pastry and then off we go to work or start on our chores. Guilty as charged for rushing through the most important meal of the day! 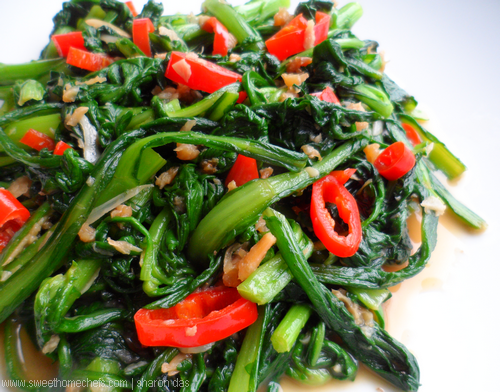 Tong Ho or Chrysanthemum Greens as I know it, is one of the many leafy vegetables that receives a lot of love in this household, in the nom nom sense, that is! I would describe the taste as tangy, with a faint peppery flavour plus just a tinge of bitterness coming across. This vegetable wilts quickly during cooking. It's best to have everything prepared and close at hand. 2) Saute garlic and shrimp paste for a bit. 3) Add dried shrimps and chilli. Stir-fry. 4) Add water and then the greens. Stir-fry. 5) Once the greens wilt, it's done! Note: I didn't have to season this with salt. The dried shrimps provided enough saltiness. 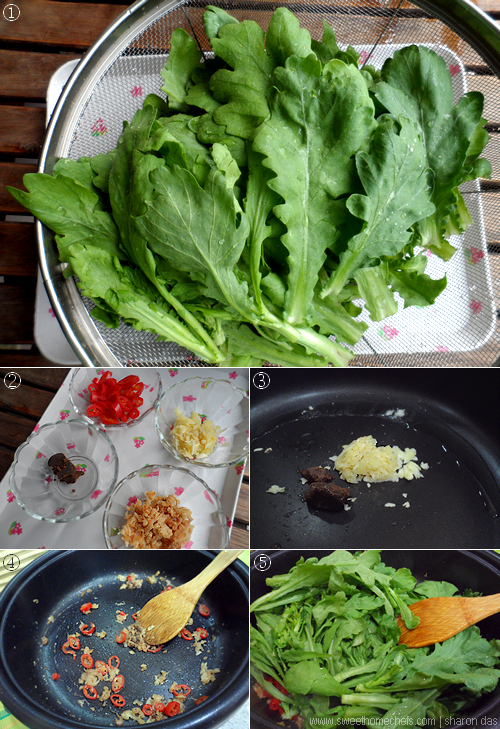 1) Chrysanthemum Greens. 2) Pounded Garlic and Dried Shrimps. 3) Saute garlic and shrimp paste. 4) Add chilli and dried shrimps. 5) Add the greens and some water. Best eaten with plain rice. So many chilli in your veggie. Lol. That's a visual delight, Sharon! This is new to me but any greens...I love them all!! 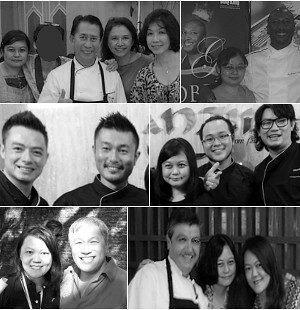 I never knew that 'tong ho' is known as chrysanthemum greens, one of my favourite vegetables. Mine too! It is known by many names but I'm more used to this one. I love this green, but somehow I do not find it often in the market...and yes, I like that way to cooked...so tasty! 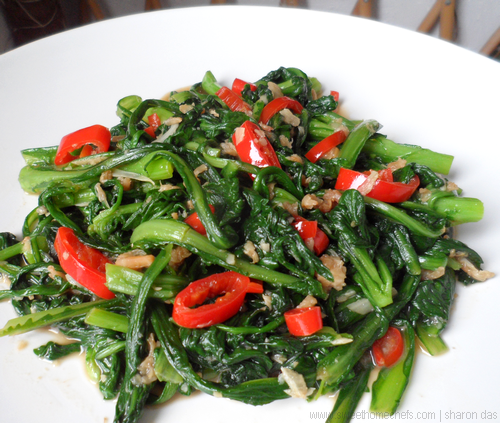 I miss eating the chrysanthemum greens... They are very rare in Melbourne. Love how you cooked it... Yum Yum!